We were first time RV owners when we picked up our brand new 2007 Airstream Safari, six years ago, so from the start, I tried to get my bearings on its operation, function, and care by reading the Owners Manual. 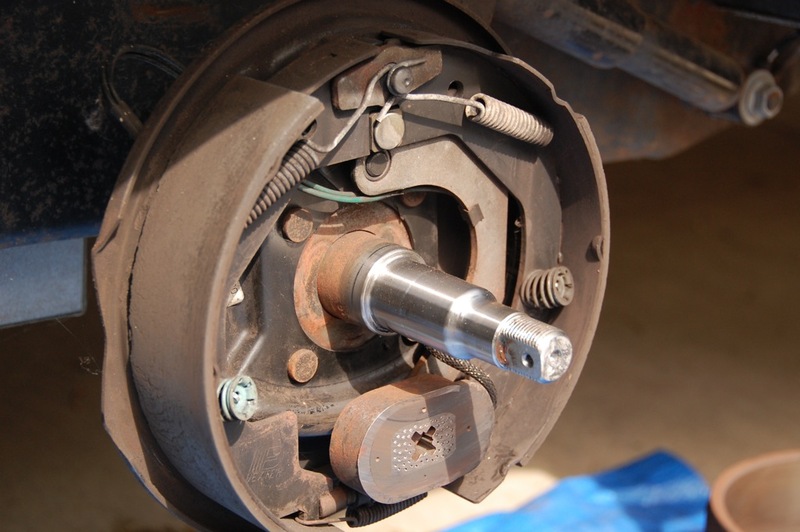 I found much of the information to be useful and valuable, but some of the service schedule guidelines did not seem practical to me, such as “Every 10,000 miles or 6 months – Inspect, adjust, or replace brakes as necessary [and] Clean and repack wheel bearings”. I understand that now Airstream recommends every 10,000 miles or one year for the above items. 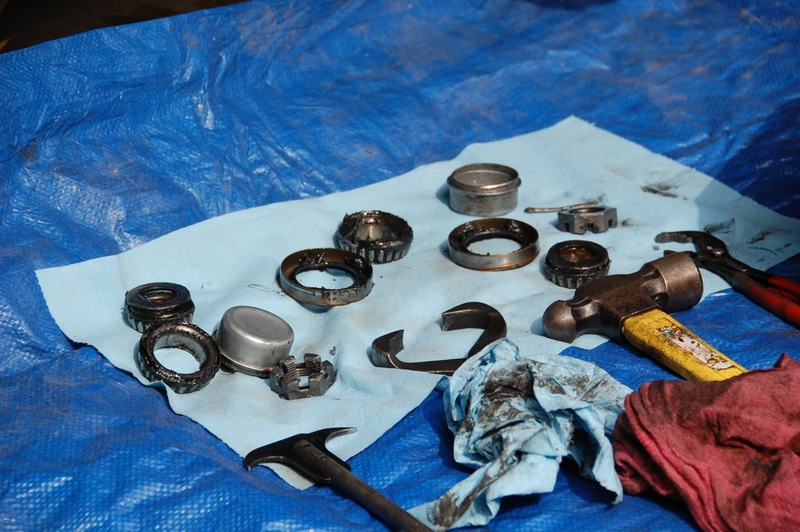 I have read that one reason to repack bearings* every year is that condensation can occur in the hub and cause deterioration of the grease. But some say, “If you live in the dry Southwest, you can probably go 2-3 years between repacks.” Even though our Airstream has only accumulated 9,500 miles (and stayed in San Diego County), I knew we were overdue for the first repacking of our bearings, so when I read the recent AirForums’ thread, “Bearings went bad and hub is damaged“, I was motivated to take action. 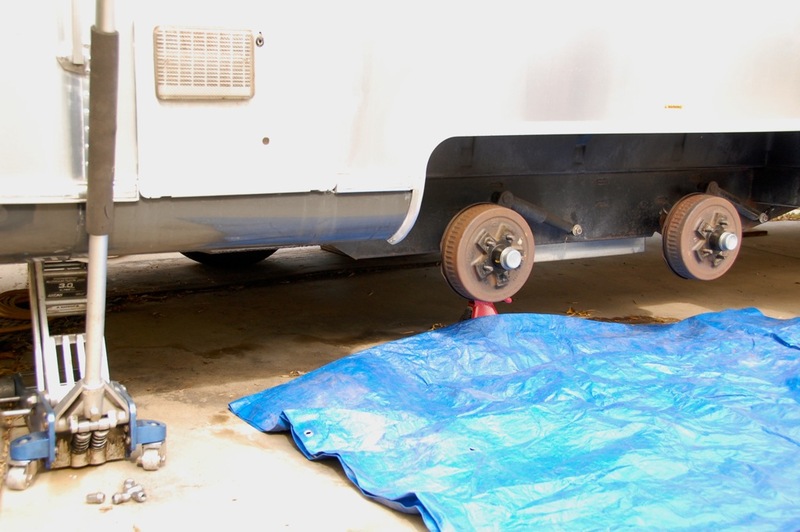 After reading the 14 steps of “Wheel Bearing Maintenance” in the Owners Manual, ’77 Overlander’s “Bearing Repacking” guidelines, “Bryan and Dave’s Greasy Adventure“, and watching, “How to Repack/Grease Trailer Wheel Bearings“*, I realized that this is a science and art beyond my capabilities and tools. I found excellent reviews of a local RV mobile serviceman, Abe Hernandez of RV Mobile Service 2U, and made the appointment. I found him to be positive, knowledgeable, and eager to share his knowledge and experience. He allowed me to take photos and thoroughly answered my questions. 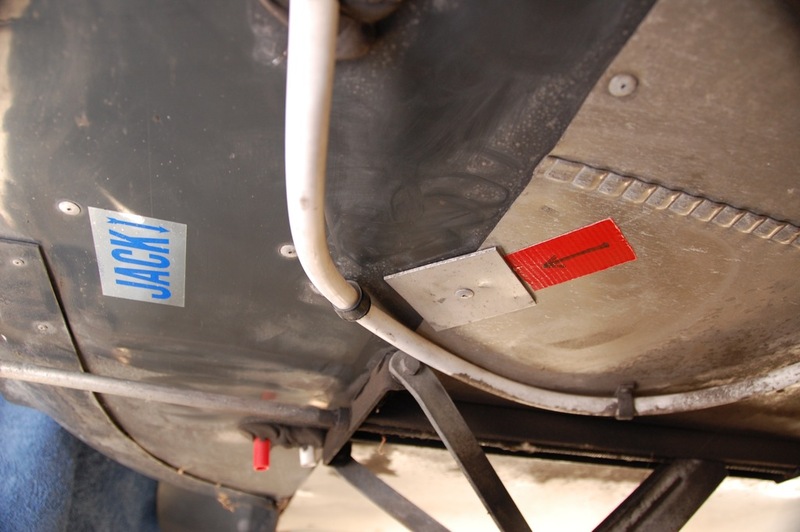 First, he showed me where our Airstream’s jack points are located, as mentioned in the Owners Manual, a label with the word “JACK” in blue letters and an arrow points to the jack point, a 3″ square plate riveted to the mainframe rail. 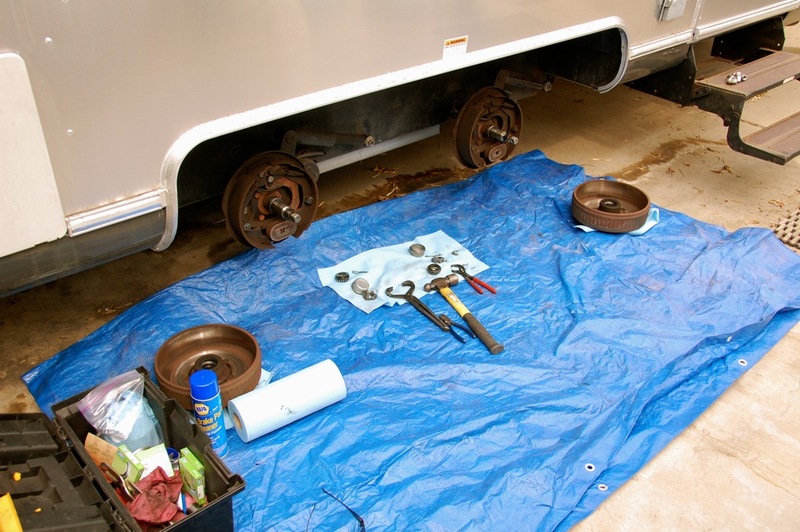 Tools and supplies included an aluminum service jack and smaller jack stands, dust cap remover, seal puller, bearing cleaner supplies, bearing packing tool, Diamond Grip latex gloves, new seals, new cotter pins, seal driver, hammer, various pliers, tire wrench and torque wrench. 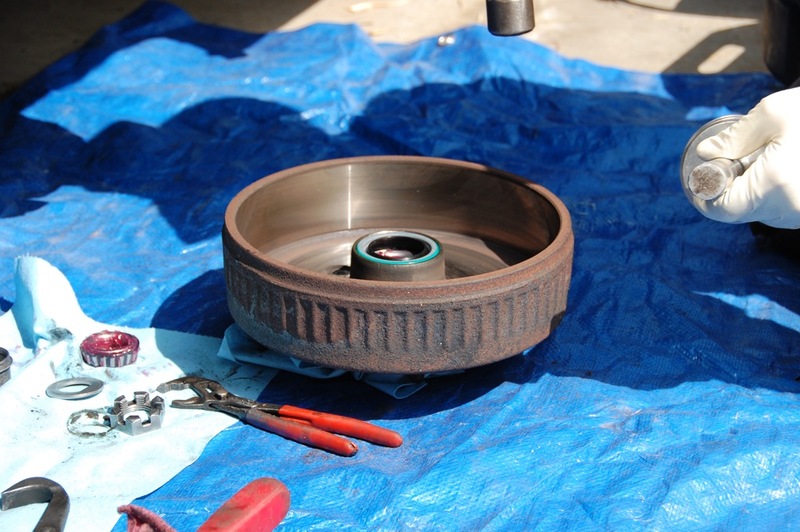 The brakes were cleaned with NAPA Brake Cleaner, and inspected and adjusted. 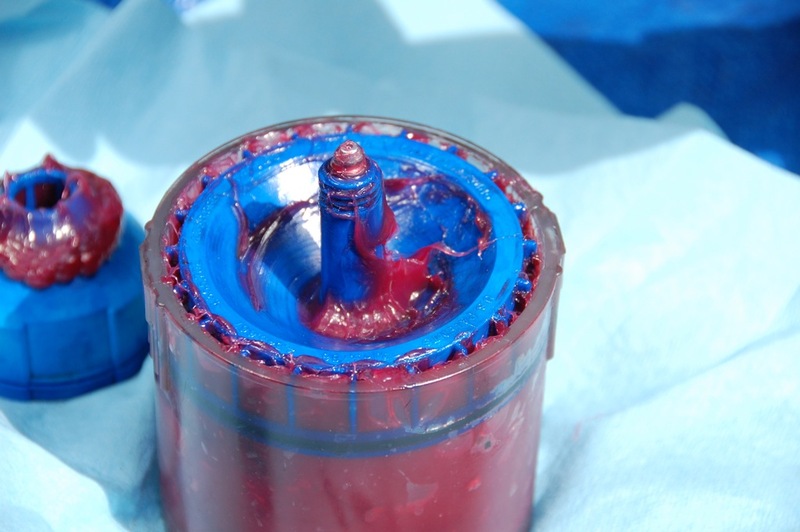 The bearings were cleaned and repacked with high temperature red grease. 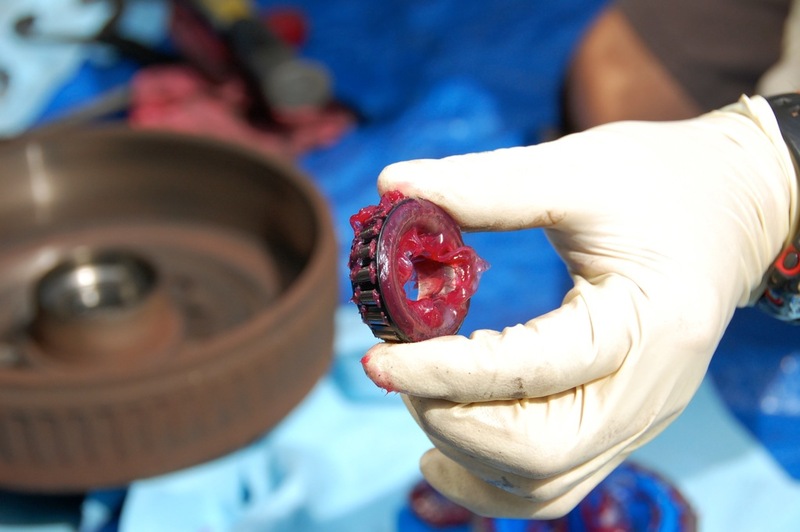 The wheels were reassembled with special care to ensure that the spindle nut (castle nut) was not over tightened.